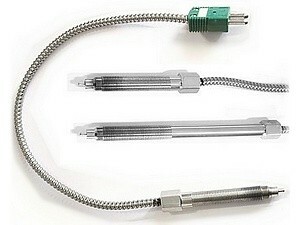 We manufacture an exhaustive range of Plastics Thermocouples and RTD Sensors according to temperature range and application; typically they are constructed from high quality stainless steel which is turned in our machine shop, these products feature spring loading, flexibility, adjustable depths and reliable, trouble-free service. Available designs: Fixed and adjustable bayonets, extruder melt, direct immersion, nozzle, washer type, extension leads, blank bolts, pipe clamp T/C’s, Bayonet adapters. 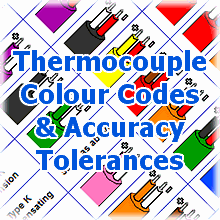 Some sizes can be ordered online from stock, see the Molten Plastic Thermocouples section on our Webshop. We can also supply them ready calibrated as we are also a UKAS accredited laboratory.